These days, there was the 2nd Bavarian Geometry/Topology Meeting, organized by Fabian Hebestreit and Markus Land, and hopefully becoming a tradition as the NRW topology meeting which by now had its 28th recurrent. Main event of the meeting were the lectures of Oscar Randal-Williams from Oxford, who discussed work on the cohomology of the mapping … Continue reading "Bavarian Geometry/Topology Meeting"
The award ceremony is certainly not what mathematicians are used to, and there are certainly many things that one can say for and against such monstrous awards and the ambience around. In any case, if you‘d like to see the ceremony, the math part starts at 1:22:30. 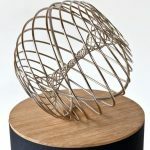 The breakthrough prize for 2018 was given to … Continue reading "Breakthrough Prize for higher-dimensional geometry"
Do quasi-isometries between groups always arise from actions on a common model space? 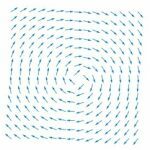 Previous counterexamples invoked central extensions of lattices, e.g., of surface groups. A new construction of infinitely many classes is now using amalgams of surface groups. 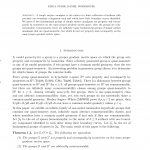 Stark, Woodhouse: Quasi-isometric groups with no common model geometry, https://arxiv.org/pdf/1711.05026.pdf If a group \(\Gamma\) acts geometrically (i.e., … Continue reading "What’s new on the ArXiv: Quasi-isometric groups with no common model geometry"
A week ago, the long-awaited preprint Scattering Forms and the Positive Geometry of Kinematics, Color and the Worldsheet by Arkani-Hamed, Bai, He, and Yan, appeared on the ArXiv. Michael Rios and David Chester in two videos try to explain the essence of the new work and, for example, the compatibility with Garrett Lise’s E8 theory. 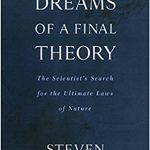 … Continue reading "S-matrices and the big unification"
Concepts in topology successfully transferred to graph theory and combinatorics with non-trivial applications? The four color theorem from graph theory is certainly the most famous problem for which so far only a brute force computational proof exists. A new preprint of Kronheimer-Mrowka supports an approach towards this theorem via homology theories. Kronheimer. 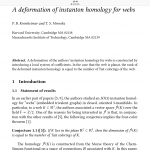 Mrowka: A deformation of instanton homology for webs, https://arxiv.org/pdf/1710.05002.pdf The four color theorem says that every … Continue reading "What‘s new on the ArXiv: A deformation of instanton homology for webs"
The German Mathematical Society (DMV) offers twice a year the „Gauß Lecture“, an overview lecture with a well-known mathematician. 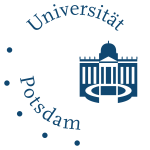 The lecture is intended to show current developments in mathematics and addresses the interested public. At this link is the chronicle of previous lectures. 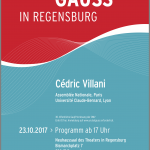 The last of this years lectures has been given by Cédric Villani at … Continue reading "Gauß in Regensburg"